Well another race weekend has passed and I'm neither happy nor sad about my performance. As some of you know I've been battling a nasty cough (bronchitis) for the past week and have been having coughing fits on a daily and frequent basis. I tried chewing gum, drinking water and taking OTC.... nothing was working. Saturday proved to be ONE OF THOSE DAYS. Two ball practices, ball pictures, ball game and packet pick-up. The expo was nice, small and not many free goodies or race codes but very organized and I was in and out within an hour (light shopping). Race day, 4:30 always comes early as I NEVER sleep well the night before a race. I was up at 1, 2, and then finally at 4:27. Parking was ample but a tad far for my liking, port-a-potties a plenty, and not overly crowded. Opening ceremonies were great with a fly over and all. The race itself. I checked out the elevation and I think there were some discrepancies because I don't remember ANY down hill. If we weren't running a quick flat burst, we were running rolling hills or STRAIGHT up Hospital Hill (placed kindly at mile 11.5). People fear this hill, many walked up it but I refused. My pace dropped to 9:30 but I just kept going!!! After THAT hill there was another. Pace stayed in the upper 8's and then I turned it on for the last mile. I was aiming for the 1:40s but saw that that was going to be out of reach. I literally had to stop at EVERY water station this race to get my cough and breathing under control. So long story short, 1:50:58....... 59 DAMN seconds!!!!! I tell myself it was a good race, a PR, a finish but it will eat at the back of my mind until the next half. Next is Pure LYFT. I was lucky enough to be one of the ladies selected to review this INTERESTING product. The packaging is different as well as the directions. It took me a second to actually figure it out but I managed! Well, I tasted a slight citrus flavor but that was it. Tasted like water to me. I drank it early in the AM and felt energized that morning. I have used both of the samples they provided and have felt the same way both times so I scientifically can't say that it did anything but I felt like I had more energy. Overall, good pick-me-up with minimal to no taste that I could use in any beverage. 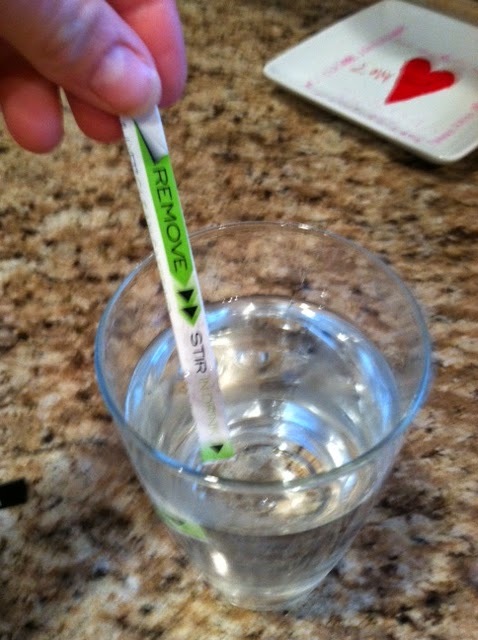 I chose to use water (not a juice drinker) so I'm not sure how it would taste in something else. 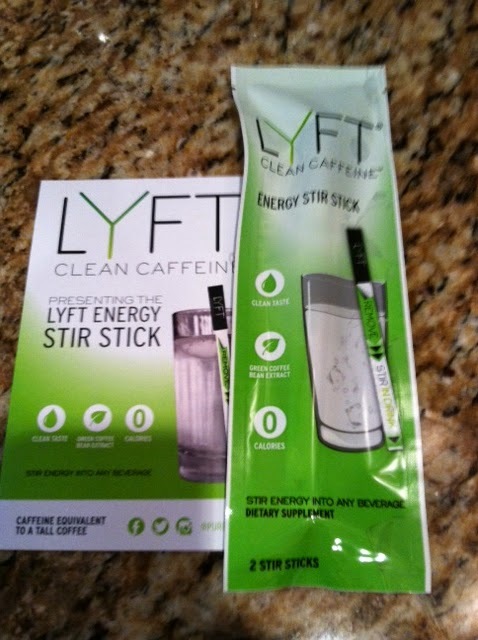 LYFT® Energy Stir Sticks are an innovative “clean caffeine”™ energy product infused with all natural caffeine and vitamins that provide a sophisticated energy experience.